Over the last 10 or so years that I have been working on Best Binocular Reviews, I’d like to think that I have created the largest and most comprehensive resource on binoculars, spotting scopes and Night Vision devices on the web. On top of this, I know that my reviews of these products are Super in-depth and cover all aspects of every instrument that I test. 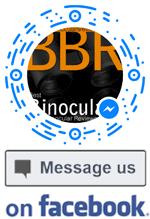 Many readers tell me that the amount of information on BBR can be a little overwhelming, especially if they are new to optics or when they first arrive on the site. This is backed up by the sheer number of requests that I now get from visitors to my site asking for help with choosing a binocular for their specific needs. Initially I started off trying to answer all the questions that I received. However I am now completely flooded and so it has become impossible for me to answer all requests with the level of attention and detail that I would like to and continue to develop the site. Hire me as your personal binocular shopping assistant. An initial consultation (via: Email, online chat like Facebook Messenger or a live conversation on Skype or what ever you like). This is so I can get a precise idea of your needs and requirements. I come back to you with a list of ideas, recommendations and if needed comparisons as well as where you can buy it/them online at the lowest prices. If you wish I will point out the particular strengths and weaknesses of each against each other. You either make a choice, ask me to make the choice for you, or if you would like to explore a few more ideas, I can go back with your updated criteria, do some more research and find some new options for you to consider. Fee: For my complete attention and time I ask for $15 (via Paypal) and I also only ask you to pay if you are happy to and feel that my advice has been worthwhile. For most binoculars this amounts to less than 5% of their value, which I think is fair and in many cases, I can actually save you far more than that with my insider knowledge on where best to buy, online deals and by reducing the time it takes you to research for what you need. Satisfaction Guaranteed: I only recommend optics from online retailers that I believe are a great choice for your specific requirements. It is important for me to stress that I am in NO way affiliated or biased towards any retailer, make or brand. I do however base many of my recommendations on binoculars that I have actually tried and tested. So whilst this pool of choices is far smaller than every single binocular on the market, it is backed up by the fact that I know it is a quality product within it’s particular class or niche. No Risk: If things don’t go as you would like and for any reason you don’t like the work that I have done for you, my advice or the instrument that I recommend to you, then just tell me so and I won’t charge you. I also only recommend retailers that accept returns, so if you did go ahead and try one of my recommendations and it did not meet your expectations, then you can always return it to the retailer and get your money back. If you would prefer, you can also contact me via these popular social media platforms. What do binocular numbers mean?